spelling of the words related to "Face"
This execise is great for revising �parts of the body� vocabulary. 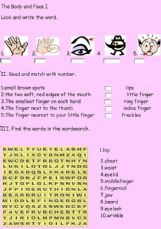 This exercise is aimed to revise the use of vocabulary connected with parts of the body as well as verbs of senses. 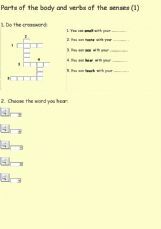 I use it in my class for teenage students with special educational needs to review lexical items.